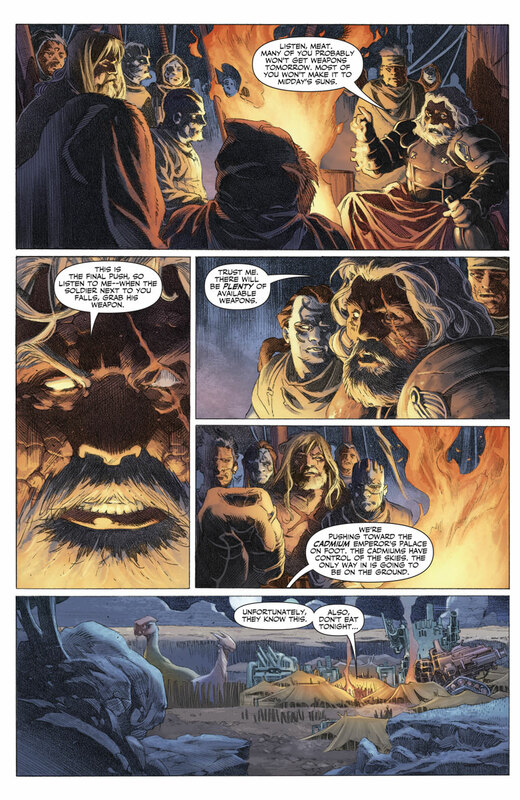 Valiant Comics’ iconic hero, Aric of Dacia, a.k.a. X-O Manowar, has a brand new series on the way! Written by Matt Kindt and featuring artwork by Tomas Giorello (for the first story arc, that is), the can’t-miss debut comic will go on sale March 22nd. 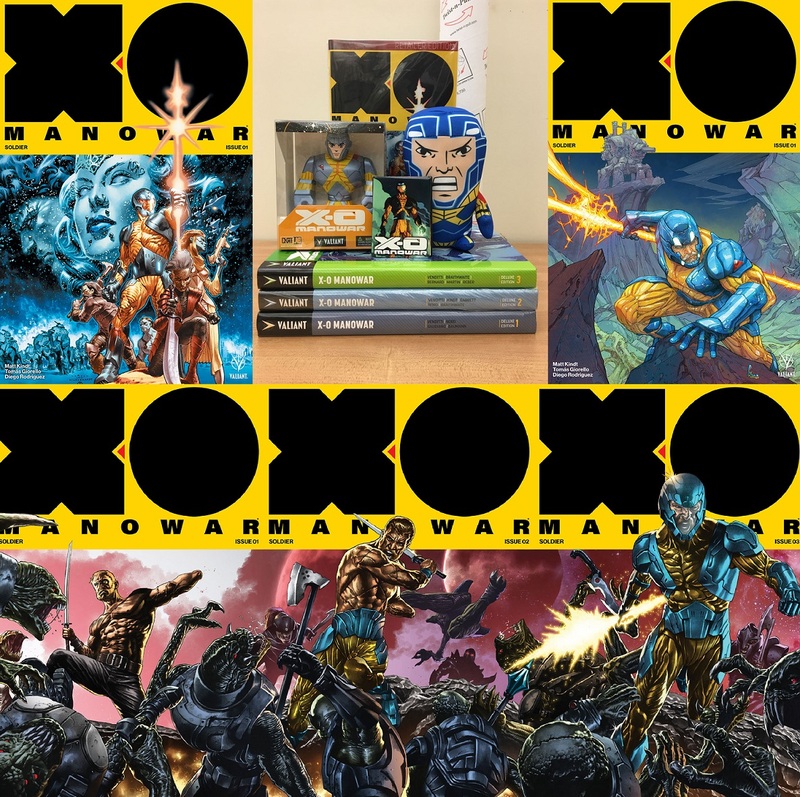 To celebrate the cosmic character’s new adventure, we’re joining forces with the publisher to give one very lucky fan an extra awesome X-O Manowar prize pack! You can enter that cool contest at the bottom of this article, but before you do that, read our interview with Valiant Editor-in-Chief Warren Simons about why you shouldn’t miss X-O Manowar’s new title! MIDTOWN COMICS: To comic readers unfamiliar with X-O Manowar, why should they check out his new series, especially if they’re already spending their budget on other superhero/sci-fi comics? And what is it that makes Aric a relatable character? WARREN SIMONS: It’s a great question, and it’s one of the reasons why we architected a year’s worth of stories out before launching issue #1 of X-O MANOWAR — because we know that our comics need to be the best on the shelves in this competitive marketplace. 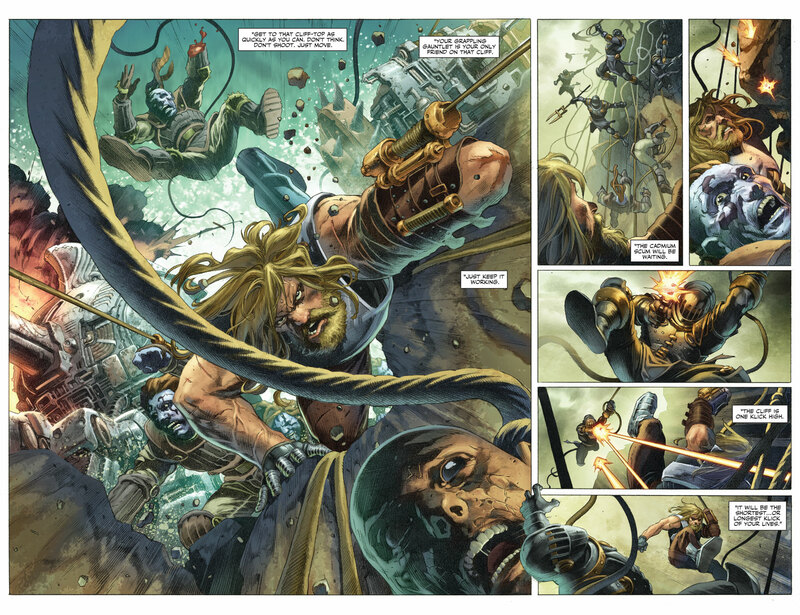 X-O MANOWAR #1 will be one of the most action-packed, visually stunning books on the stands that month – Tomas Giorello’s art is just jawdropping – and it’s written by a pretty brilliant guy in Matt Kindt. If any of your readers are thinking about it, I’d encourage them to simply open it up, and look at the art. If you love beautiful art, and most comic fans do, this is a must read. And if you dig movies like Unforgiven or Saving Private Ryan, this one might be for you. The first four arcs of this series are well into production, so readers can enter knowing that the stakes are only going to get crazier. MC: Matt Kindt has a clear plan for this series – a whole year, in fact – but following-up Robert Venditti’s epic run is obviously no easy feat. 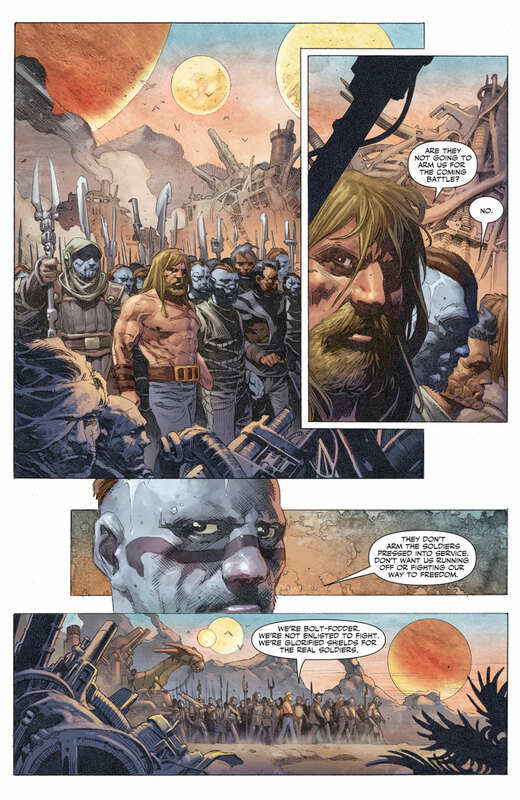 How will Kindt’s story feel fresh for pre-existing Valiant fans, but also accessible to brand new readers? WS: We couldn’t be prouder of Rob’s run, which was a pretty remarkable feat in today’s marketplace. It was one of the most consistently entertaining runs on the stands. But Matt’s got a much different take on X-O MANOWAR. To start, we’re taking Aric off of Earth and into the farthest reaches of space. That cosmic setting, far removed from his friends, allies, and comforts of home, will shine a new light on Aric that seasoned readers will certainly find fresh and new. But by placing him far away from home, and—for a time—without the armor, we’re going to see Aric stripped down to his core as a character. Aric will be grappling with the fundamentals of his very essence throughout the series, so new readers will get a very clear understanding of the roots of this character, along with what motivates and drives him. I should also note that a good amount of time has passed between Rob’s story and when Matt’s book begins — and something that is very important has happened in between those two points that we won’t touch on for a little bit. MC: The previews of Tomas Giorello’s pages are really impressive. To you, what makes Tomas the right person to kick off this brand new adventure for Aric? 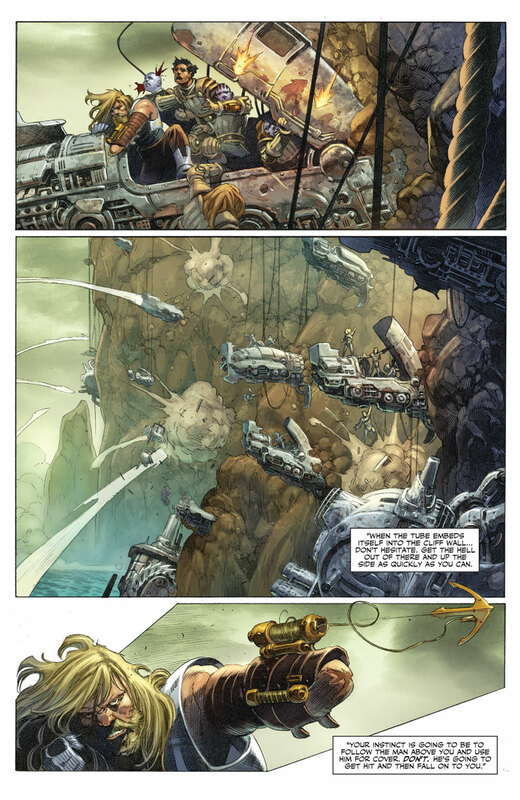 WS: Tomas is a brilliant artist with an exceptional eye and a terrific understanding of storytelling. His scope for devastating, wide-screen action is extraordinary, and he captures the savage warfare in this first issue in breathtaking fashion. MC: What do you feel the other artists – Doug Braithwaite, Clayton Crain, Ryan Bodenheim, and Mico Suayan – will bring to their respective story arcs? WS: I couldn’t be happier with this extraordinary crew, each of whom is an absolute force in the marketplace on their own. Each possesses a well-established voice and their own POV to the page — their own personality — and together they’re like a badass Voltron putting out some of the prettiest X-O MANOWAR pages we’ve ever seen. With Doug Braithwaite, you’ll see that same explosive, page-after-page blockbuster feel he brought to BLOODSHOT U.S.A. or ARMOR HUNTERS. Clayton Crain is going to bless us with that same sleek, lush and futuristic aesthetic that made RAI and 4001 A.D. such home runs. Ryan Bodenheim is someone whose level of detail and storytelling is a marvel to behold. Finally, Mico Suayan will bring that gritty, yet-hyper detailed approach that made his two separate arcs on BLOODSHOT REBORN some of the most heart-stopping pages in comics today. 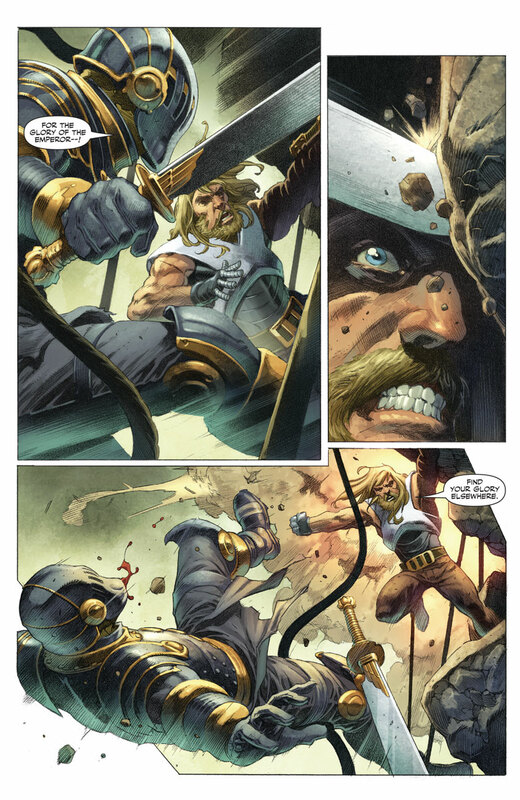 Fill in the blanks: X-O Manowar’s new series is COSMIC SAGA meets INTERGALACTIC WAR STORY with a side of OLD-FASHIONED WESTERN. Oh, and don’t forget there’s plenty of GRIT. MC: Obviously, you can’t spoil anything, but… care to drop any nice teasers about this year-long cosmic epic that Aric will experience? MC: X-O Manowar will make his live-action debut in Ninjak vs. The Valiant Universe later this year. Why should fans get excited about actor Derek Theler’s version of Aric? WS: For starters, Derek looks like Aric of Dacia if he jumped off of the page and into the real world. The man towers over everyone else, and really captures the physicality of X-O Manowar. 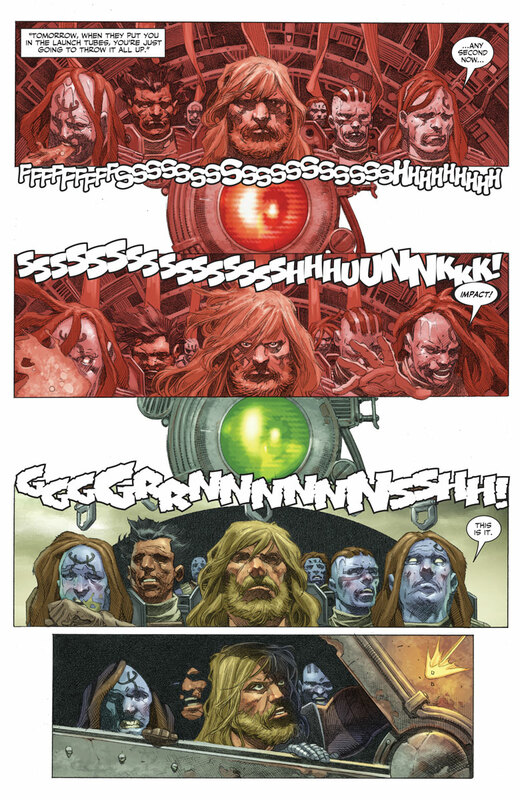 But on a deeper level, Derek can expertly capture that balance of compassion and rage that defines X-O Manowar. Aric has a lot of nuance between his roles as a warrior and as a protector of earth that millions look up to, so you have to find a way to be imposing, but not exactly scary either. Derek gets that, and his performance captures the spirit of the character that we’ve worked hard to refine over the past several years. Also, he’s an extremely nice guy. Really a wonderful, genuine person who seemed to love playing X-O Manowar. 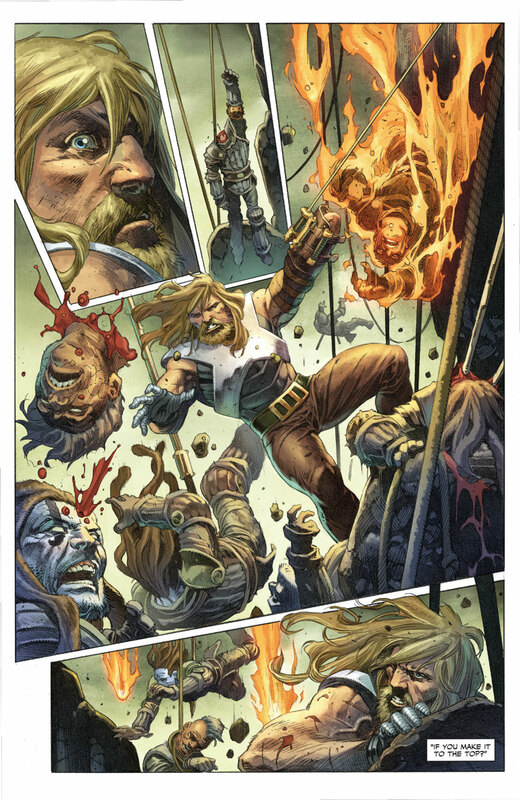 X-O Manowar #1 is on sale 3/22.